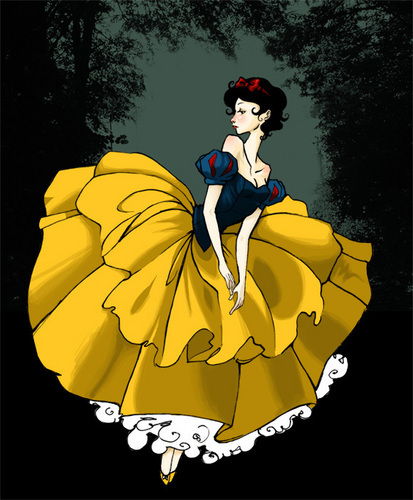 Snow White Suspended in Front of a Forest Background. . Wallpaper and background images in the Snow White club tagged: snow white forest suspended fan art.